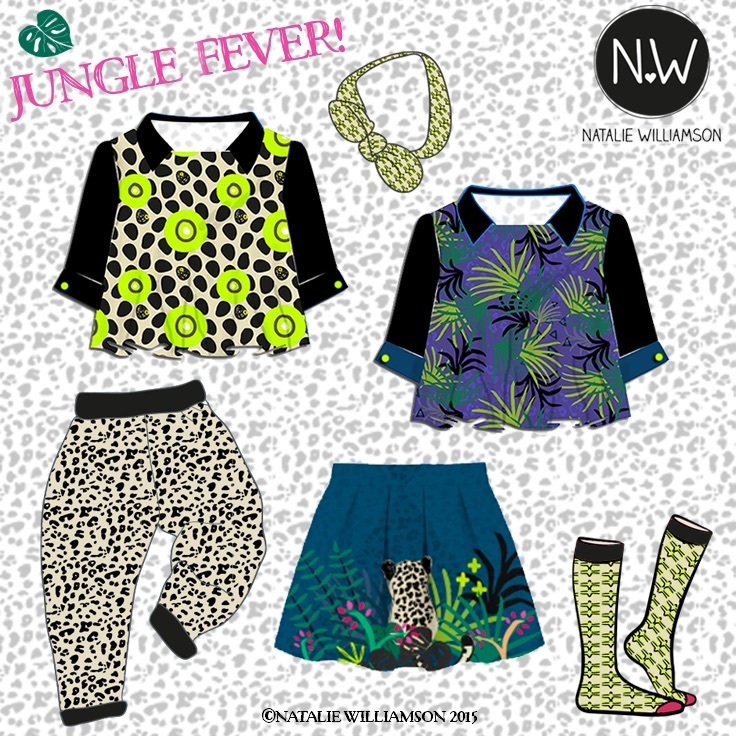 Take a walk on the wild side and a sneak peek at my new collection of graphic jungle surface patterns! Inspired by tropical forests and wild jungle life forms, shapes and animals, I worked with inks, paints and fineliners to create organic shapes and marks for an energetic and free vibe. After making a happy mess, I scanned and digitized my designs before adding colour and forming various patterns and placement prints. Available for license, these patterns have been added to my private portfolio and can be viewed securely in my Art Licensing Show profile. I have some really lovely Backer Rewards available, some of which are exclusively available via my kickstarter project until the 3rd April only so you'll have to be quick to get them! Here's a little look at some of the aditonal lush NW homeware and stationery products available.